Nissan is gradually trying to invade the North American market with some of the top cars that they have in their kitty. The 2012 Nissan Altima created a lot of buzz and news in the market when it was launched and it soon became one of the most popular Nissan cars in the United States. Nissan has now decided to take the same vehicle to the next level with better upgrades and features that will make this car one of the most desirable vehicles in the market. 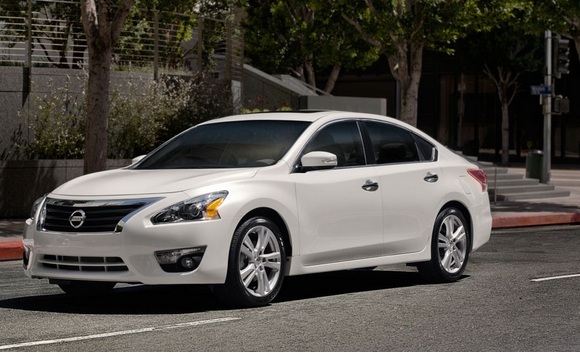 The all new 2013 Nissan Altima 2.5 SV is among the top vehicles that Nissan will bring out in the market soon. 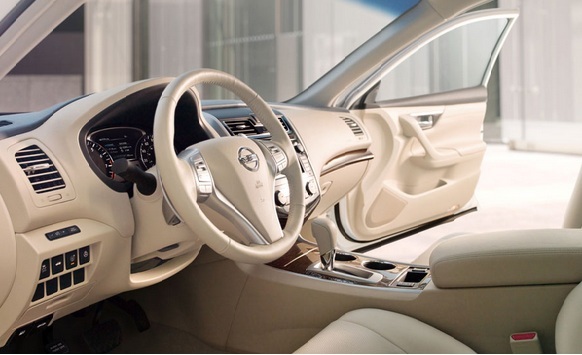 Let’s take a quick look at the features of the vehicle in the 2013 Nissan Altima 2.5 SV review below. On the outside, Nissan has decided to bring in the aggressive styling and serious performance credentials to the vehicle. The overall structure of the vehicle has been widened with functional character lines and powerful styling options that make the car aerodynamic and chrome accents on the vehicle make it look professional in every manner. The vehicle is equipped with 17 inch lightweight aluminum alloy wheels with all season tires. It also includes auto headlights that react to light conditions. The windshield wipers on the car also keep track of the moisture to activate the wiper option. The new 2013 Nissan Altima 2.5 SV includes dual chrome tipped exhaust finishers that make it look aggressive from the rear side. Nissan has included the 2.5 liter four cylinder engine that has the capability to produce 182 horsepower for better performance. The engine is paired with Xtronic CVT which reduces the friction by 40% and offer better speed performance. This means that the car has better acceleration and improved fuel economy. 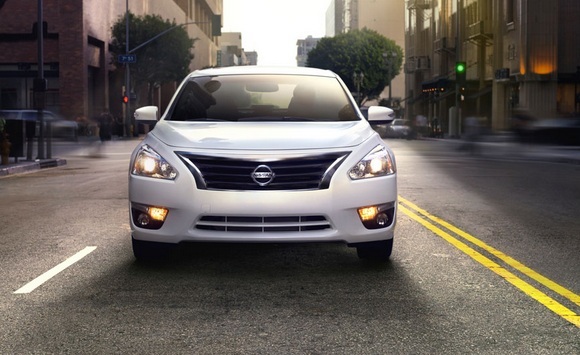 2013 Nissan Altima offers better fuel economy with EPA of 27 mpg in the city and 38 mpg on the highway. Nissan claims that this will also be the first Nissan to have Active Understeer Control that offers better steering control and brake controls in all weather conditions. The Nissan Altima 2013 2.5 SV wears the PureDrive badge as it meets or exceeds Federal CAFE fuel economy standards. 2013 Nissan Altima 2.5 SV boats of bigger space inside the vehicle for the passengers and driver. It also features Advanced Drive Assist Display which is a crystal four inch LCD screen which is centered around the instrument cluster making the overall drive options simpler. It also offers Nissan Intelligent Key options, Dual Zone Automatic Temperature Control, Bluetooth, and Nissan Connect options for the better convenience of the driver. The MSRP of 2013 Nissan Altima 2.5 SV starts at $24,400 and above.